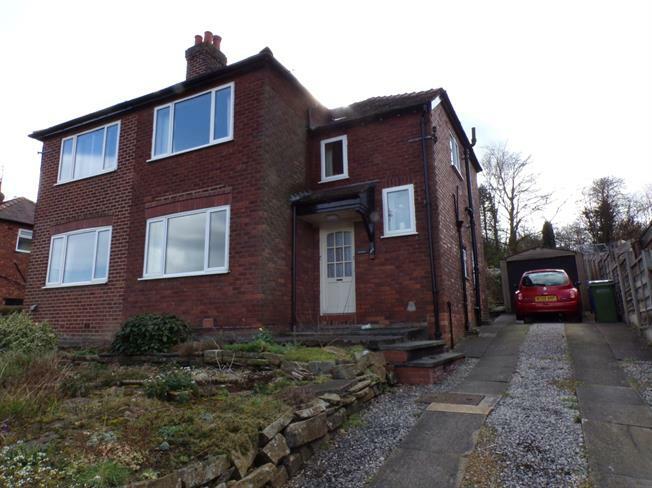 3 Bedroom Semi Detached House For Sale in Stockport for Asking Price £250,000. In need of some modernisation yet very well maintained throughout, this property is well proportioned, bright and spacious. In brief the property comprises entrance porch, entrance hall, living room with original Art Deco Fireplace, dining room, kitchen and downstairs cloakroom. To the first floor are three good sized bedrooms and family bathroom. To the front of the property is a good sized garden and driveway for up to four vehicles leading to a single detached garage.